HONEYED PEAR, DELICATE YEAST, & A FULL BODIED MOUTHFEEL ALL PLEASE THE SENSES WHILE ENJOYING THIS BELGIAN ALE BREWED WITH FRESH PEAR JUICE. BOP COMES TO YOU AS MORE THAN JUST A BEER, HOWEVER. IT'S ALSO TO TELL A STORY - THE STORY OF AN AVID FISHERMAN, FAMILY MAN, AND TRUE HERO FOR A FAMILY VERY CLOSE TO THE 4 NOSES FAMILY. 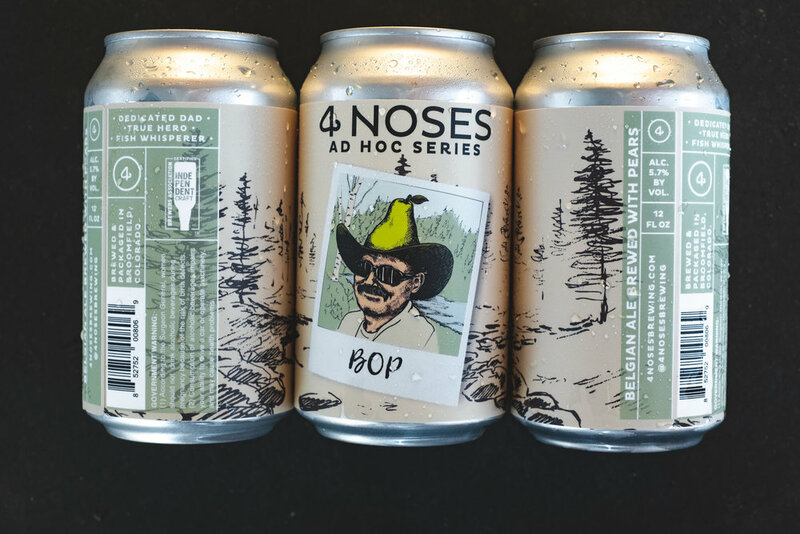 WE BREWED BOP IN MEMORY OF THE WORLD CLASS DAD, THAT WAS REFERRED TO AS BOP BY THOSE CLOSEST TO HIM, AND A MAN WHO WILL NOT BE SOON FORGOTTEN.